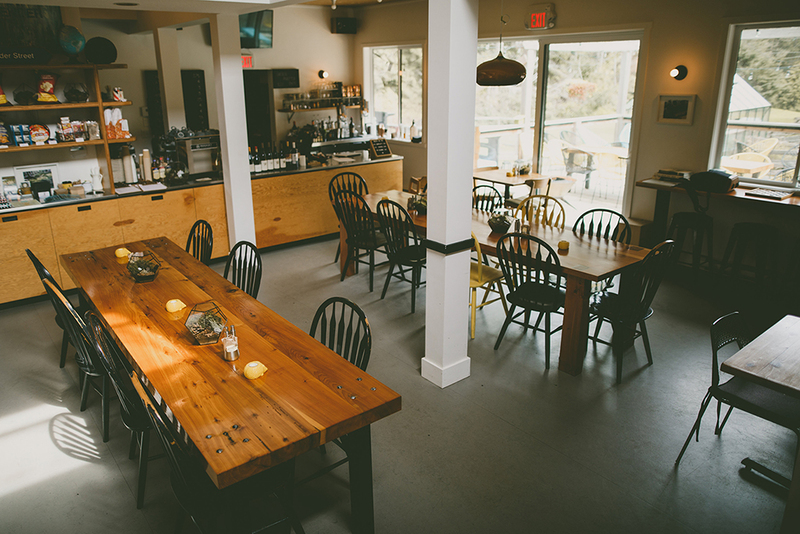 Expect the unexpected on a visit to this easy-going Southern Gulf Island. There is a disco on Pender Island. At least, I think that’s what islander Curtis Redel just told me. This is a head-scratcher in its own right. 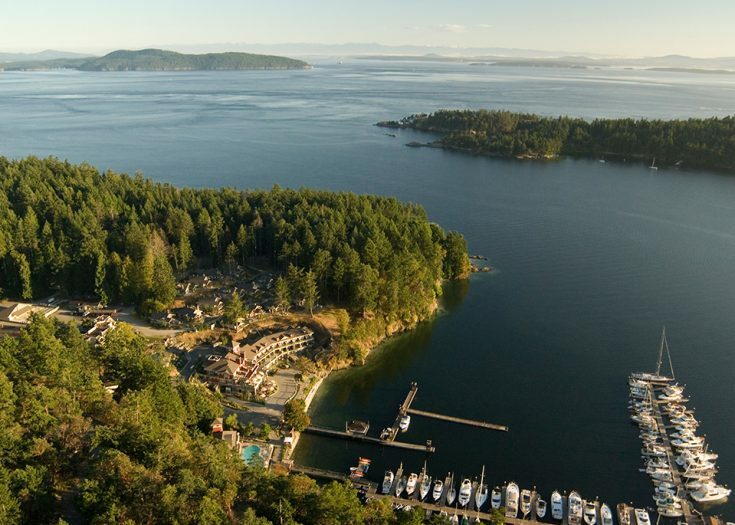 Pender Island, just 36 square kilometres in size and home to 2,300 permanent residents, boasts a 27-hole disc golf course. Built on a rocky, forested hill, the free-to-play course features three nine-hole loops with plenty of elevation changes, hand-painted rock tees, a mix of basket and pole targets, and heavily treed fairways—it’s considered one of the most notable disc golf courses in the world. Really, the whole island (actually two islands, joined by a short bridge) is pretty darn notable. The perfect Pender getaway combines predictable offerings—lush west coast forests, secluded beaches, winding rural roads, artists’ galleries—with plenty of unexpected delights, including the following five. “I love showing people, especially beginners, they can play safely in the middle of wilderness and on the ocean,” says Kye Nahanni, owner of Dog Mermaid Eco Excursions. They can also eat well, thanks to the paddle-up picnic included in Nahanni’s Whales, Trails and Island Delights tour. Kayakers spend the morning paddling along shorelines teeming with sea life en route to a Gulf Island National Park Reserve beach where chef Ally Feargrieve of Slow Coast Coffee awaits with scrumptious sandwiches, salads and sweet treats. Visitors are often surprised when they arrive at Sea Star Estate Farm & Vineyards. “They expect a barn leaning to the left or something like that,” says proprietor David Goudge. 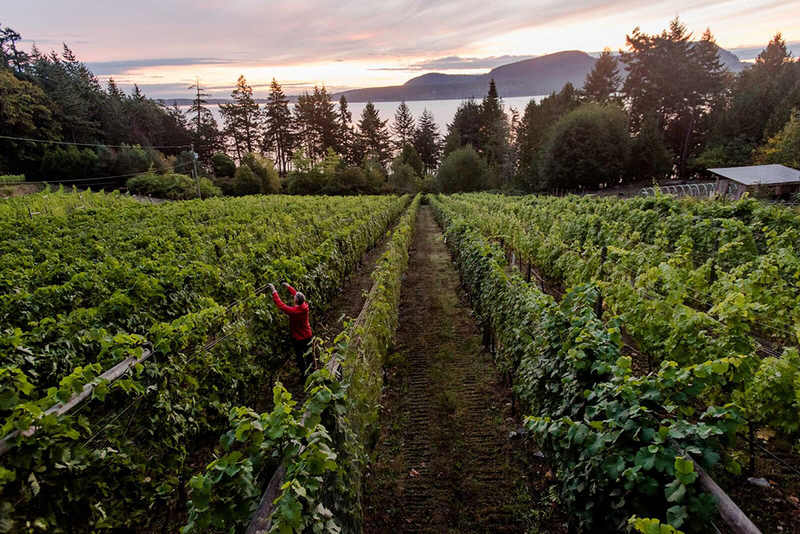 Instead, they find a modern wood-and-concrete winery hosting art exhibits, vineyards cascading down mountain slopes to the ocean’s edge, and award-winning wines including Blanc de Noir, voted “Best in Show” at the 2017 Canadian Culinary Championships. Added eye candy? The Babydoll Southdown sheep that “mow” the vineyard grass. As if the stylin’ Airstream trailers with hammocks and private hot tubs at WOODS on Pender aren’t surprising enough, the restaurant at this rustic-chic camping resort offers creative farm-to-table fare, wine and beer on tap, and an exciting cocktail menu. Landlubbers with binoculars and a bit of luck can spy orca, humpback and minke whales, as well as harbour and Dall’s porpoises and Pacific dolphins from Pender Island’s shores. Prime viewing spots include Thieves Bay (where orcas sometimes rub their backs on the rocks) and the bluffs at Gowlland and Brooks Point. When harvesting is complete, Selbee and partner cider-maker Matthew Vasilev press and naturally ferment dozens of heirloom apple varieties with whimsical names such as Cox’s Orange Pippin and King of Tompkins County, as well as pears. 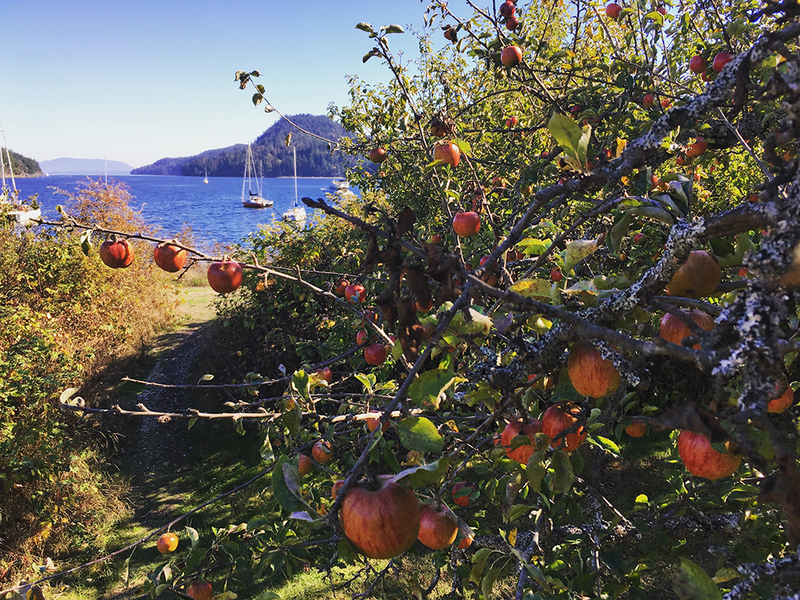 Sample the (liquid) fruits of their labours at the cidery’s orchard- and ocean-view tasting room.